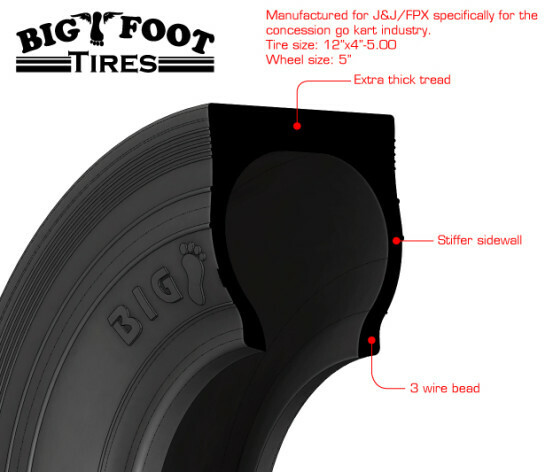 J&J’s BIGFOOT ™ TIRES are now 21 years old! You as an operator and we as a go-kart manufacturer demand the longest wearing, best-value tire that money can buy. That’s why we designed and manufacture the Bigfoot from the ground up to be the best of the best. 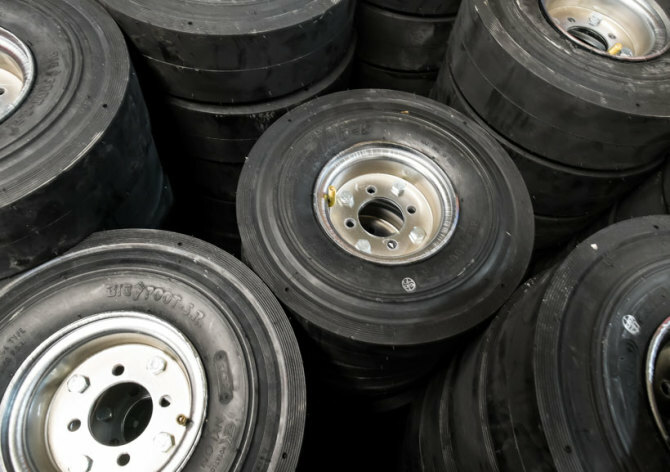 To continue to provide the best tire out there, we hired engineers to study our design and refine the manufacturing process. It is the longest-lasting go-kart tire ever made; nothing will outlast the BIGFOOT. Last year for our 20-year anniversary, we gave away 200 Bigfoot tire/tube combos at the 2015 IAAPA trade show in Orlando Florida. More tread = longer life. Longer wear tread compound = longer life. The only true 12” tall 12x4.00-5 concession go-kart slick on the market. Exclusive BIGFOOT 45 degree correct placement valve stem comes with every combo tire/tube. With the correct tube, tire will last longer. Longest lasting BIGFOOT ever made. Nothing will outlast the BIGFOOT tire. Simply the best. ASK FOR BIGFOOT. If they don't say Bigfoot, send them back. Largest in-stock INVENTORY of go kart and bumper boat parts and accessories in the WORLD! From small FECs to some of the biggest amusement parks in the US, J&J Amusements has been designing and manufacturing safe and innovative fun since '75. © 2014 Copyright FPX Amusements, Inc. All Rights Reserved. Website Design and Development by Savy Agency.